In a country made up of more than 80 islands, it's impossible to run out of things to do in Vanuatu. 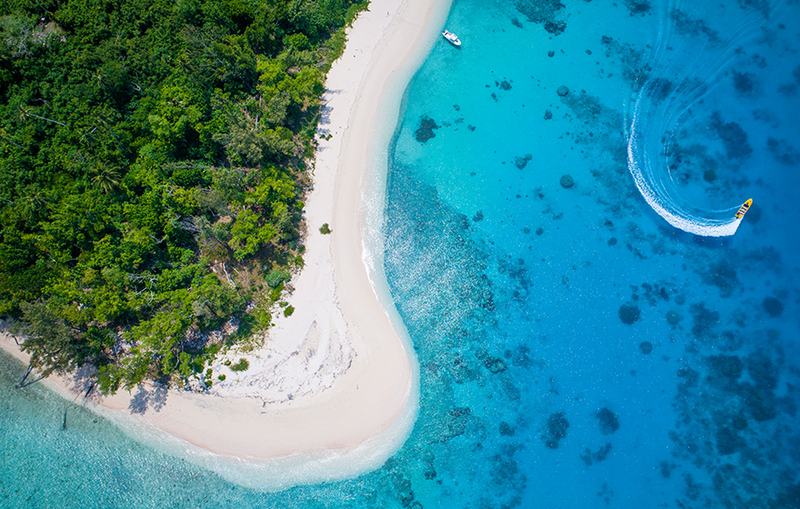 Whether you want to amp up your adrenaline, disconnect from everyday life, rediscover the sun in long winter months or introduce your kids to the wonders of the underwater world, you can find all manner of bespoke holiday opportunities in Vanuatu. The only thing you won't find there is boredom! Take a look at our picks of the top things to do in Vanuatu. Vanuatu is more than meets the eye - there's just as much to do below the water as there is on dry land. Swimming in Vanuatu is a great activity for the whole family. 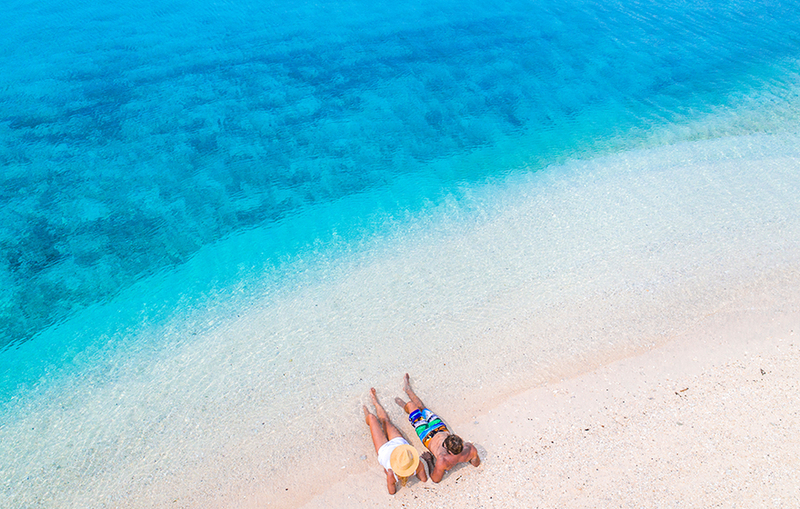 Splash around in crystal clear waters at one of the many beaches, or join a snorkelling tour around Mele or Iririki. Snorkel safaris will plunge you into a colourful world of bright coral and abundant marine life that will leave you wide-eyed with wonder. Want to go even deeper into Vanuatu's underwater playground? Scuba diving in Vanuatu will bring you up close with not only fish but a myriad of wrecks - sunken yachts, planes, cargo ships and the famous ocean liner SS President Coolidge are all there for curious divers to swim around. If you're not already a qualified diver, there is the option of completing a PADI scuba dive course during your stay. Alternatively, swap salty skin for a refreshing dip in one of Vanuatu's waterfalls. There are many hidden cascades stashed throughout the islands, but some of the best ones to splash around in include the Mele Cascades and the Mount Hope Waterfall. Another freshwater escapade is the option of kayaking or swimming through the ethereal blue holes in Espiritu Santo. Ni-Vanuatu people are always smiling - maybe because they always have something to celebrate. One of the most interesting things you can do while on holiday in Vanuatu is to join a local cultural festival. Thanks to a mish-mash of traditions resulting from generations of immigration, Vanuatu's cultural festivals are completely unique. 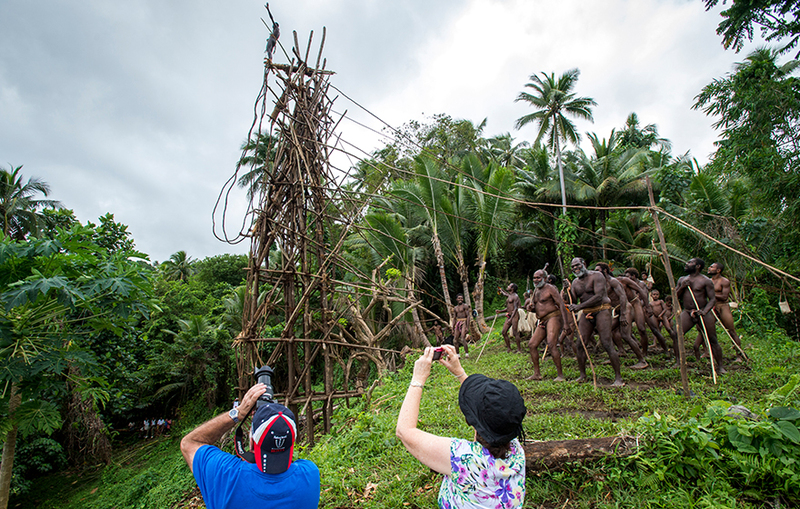 Witnessing traditional celebrations is an experience you can't get anywhere else and is a great introduction to the mysteries of Ni-Vanuatu culture. Feel shivers down your spine as locals commune with spirits and acknowledge the presence of black magic, marvel at the conviction of a cargo cult celebrating the mythical John Frum figure on Tanna Island or feel your palms go clammy as you watch local men leap from the top of wooden towers at the legendary Naghol land diving festival. No matter which festival you choose to see, plan on walking away with a new appreciation for Vanuatu's history and culture. An island is an ideal place to ditch stress and embrace mental and physical rejuvenation. Take some time out in between your island adventures to treat yourself to a luxurious spa package. Surrender yourself to the hands of skilled masseuses or make the most of the geothermal legacy of Vanuatu with a volcanic ash scrub. The volcanic ash treatments are popular for their detoxifying abilities, leaving you cleansed and de-stressed. You can even soak up some true tropical indulgence with a coconut cream bath treatment! For a more budget-friendly option, check out the natural Nasinu Hot Springs. A product of volcanic activity, the sulphurous springs are believed to have healing properties. Whether or not this is true, they definitely have relaxation powers - a long soak in the warm water will help ease the aches in your muscles and soothe your soul. Vanuatu is also known as a producer of aromatic sandalwood - the rich scent of this indulgent essential oil will replace feelings of stress with calm, so you won't be able to help to feel renewed. This is a great place to get hold of this luxury product right at the source. In between lounging on the beach and sipping on coconuts, explore some of the more mystical locations in Vanuatu. Chief among these is Mount Yasur. If you like to live life on the edge, try standing on the rim of a constantly erupting volcano. Not for the faint of heart, summiting Mount Yasur will let you get a peek into the heart of the Earth, with glowing molten rock and hissing gases making the volcano sound as if it is living and breathing. You don't need to be a mountain climber or extreme explorer to get to the top of the volcano either - you can drive almost to the peak. Trek through tropical forest to explore Vanuatu's largest cave. This trip involves some canyoning over boulders and swimming in the river, so it is better suited to adults with a reasonable level of fitness. 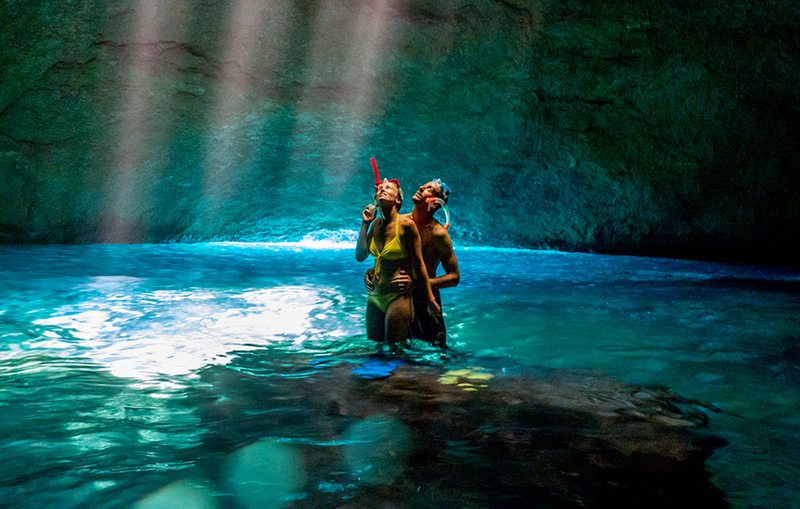 For another underground experience, take a trip to the Blue Cave on Tanna Island. To reach this secret cavern, first, you have to be taken to the right spot among the limestone formations on Tanna's coast. Next, you will need to dive underwater and swim through a tunnel before emerging inside the cavern. The dome-shaped cave is lit by a blue light that gives the whole space an otherworldly glow. With so many islands to choose from, why stay on just one? Hop between Vanuatu's islands to get the most out of your trip. The island of Efate is the best place to start, and you can continue your journey to Espiritu Santo or Tanna for more adventures. You can get between the larger islands by air, and explore smaller or uninhabited islands by chartering a boat. If you're feeling particularly extravagant, you can even take a helicopter (and a bottle of champagne) to a private island for the ultimate romantic getaway. To stop dreaming and start doing all of these things and more, get in touch! 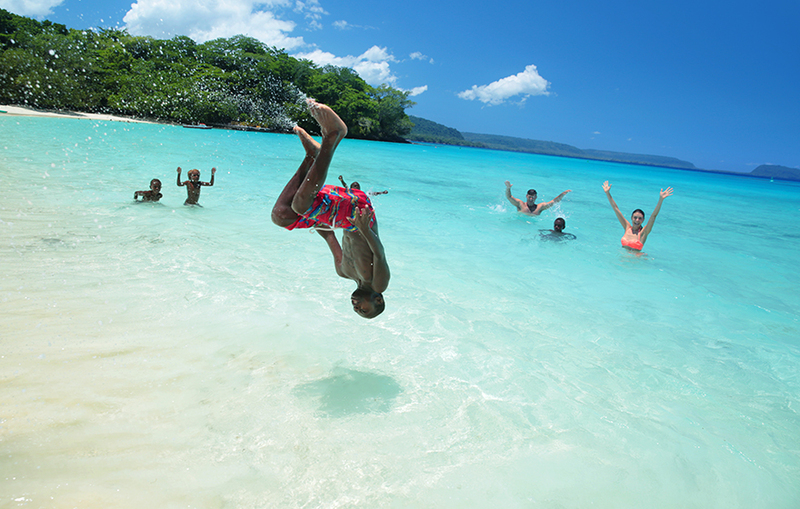 With our holiday expertise, we'll make sure you have the Vanuatu venture of a lifetime.